Y'all. I am so over the moon with how these pictures turned out! Katie + Nathan were such a joy to work with in creating this vision they had of replicating some really special moments to them exactly 1 year from their official wedding date. How stinking cute?!?! 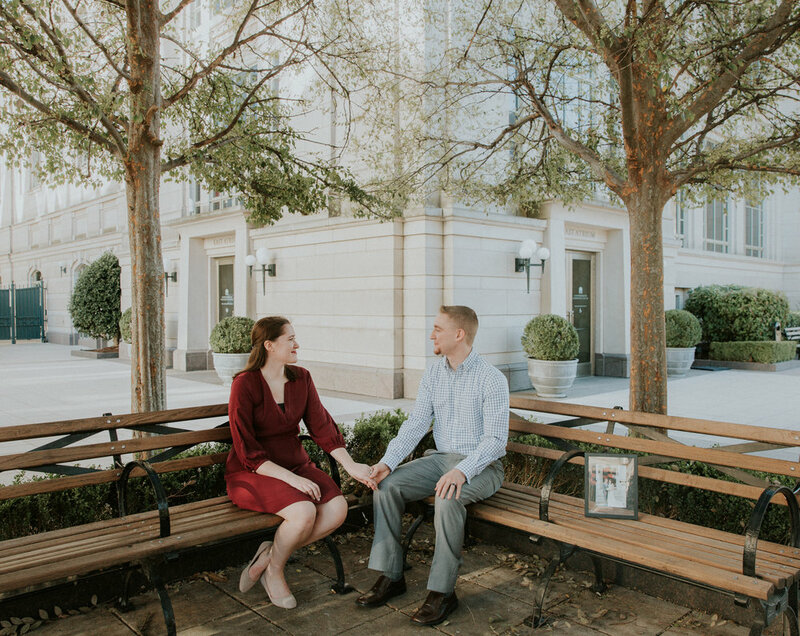 As soon as Katie reached out to me + told me her ideas + hopes for these pictures I was ALL in! We started the day off by strolling Nashville’s famous Pedestrian Bridge (mid-day sunny with lots of people who cheered them on + said “congratulations!”) even though they have been married for a year, LOL! After the bridge we wandered down towards the outskirts of the city to create more magic! In a cute little hidden pathway we found a couple of really awesome spots, along with a recreated dance from their wedding day (my HEART!) in front of the glorious skyline, finished with some cozy + cute moments by the Ryman + quaint little waterfall where people smiled in the background while I snapped away. What a picture-perfect day! Thank you Katie + Nathan for picking me out of the thousands in Nash to capture these sweet moments for you both! It was so fun! Scroll on through + Enjoy our time together!